Guest commentator David Okamoto has his favs for this year in Texas Music. Commentator David Okamoto works as a content production manager at Yahoo! in Dallas. His music reviews have previously appeared in such publications as Rolling Stone, ICE magazine and the Dallas Morning News. At No. 10 is West Pantego, a riveting six-song calling card from Sam Lao. The female Dallas rapper fuses booming beats, rapid-fire rhymes and inspired nods to Santana and Coldplay into intoxicating declarations of independence. The self-titled debut by Radioactivity, a side project featuring Jeff Burke and Mark Ryan of Denton’s Marked Men, is my No. 9 choice. The band fires off 13 crackling punk-pop salvos in 30 minutes by keeping the chord count low and the exuberance high. If 2011’s I Am Very Far found Okkervil River’s sound growing denser, The Silver Gymnasium, at No. 8, catches the Austin band lightening up, weaving lush textures and sunny ‘80s-pop hooks around leader Will Sheff’s nostalgic riffs on his New Hampshire youth. My No. 7 pick is The Electric Word, the first album of new material in more than 40 years by reunited Dallas gospel act The Relatives. These soulful survivors drape their majestic vocals with trippy guitars and funky rhythms, forging a sound that is both heavy and heavenly. 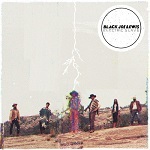 Black Joe Lewis’s Electric Slave storms in at No. 6. The Austin guitarist has jettisoned his throwback R&B romps in favor of a bone-rattling, distortion-wracked ruckus that echoes the Black Keys more than James Brown. Love Has Come For You, a quirky collaboration between Oak Cliff native Edie Brickell and Waco-born comedy legend turned bluegrass star Steve Martin, comes in at No. 5. Her engaging voice serpentines around his rustic banjo plucking as they zero in on the sweet spot between starkness and light. No. 4 is the haunting Dream River by Bill Callahan, the Austinite formerly known as Smog. His hushed baritone doesn’t drive so much as drift through the wobbly arrangements, reminding us how Leonard Cohen might sound if he were from the Great Plains instead of the Great White North. 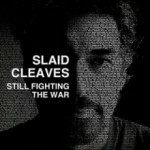 Still Fighting the War by Slaid Cleaves lands at No. 3. It’s the Austin singer-songwriter’s most moving effort since 2000’s “Broke Down,” portraying returning soldiers and blue-collar workers with a keen eye and a compassionate heart. Denton band Midlake ranks No. 2 with Antiphon. Guitarist Eric Pulido steps up after the departure of leader Tim Smith and helps the group reinvent itself by expanding upon the ethereal grooves of ‘60s psychedelia and ‘70s progressive rock — with all of the hypnotic beauty and none of the bombast. favorite album of 2013 is Same Trailer Different Park by Kacey Musgraves. Her East Texas roots lend an irreverent edge to her introspective tales of small town dead ends and wilting relationships, and her honey-coated voice exudes grace and confidence. As the 25-year-old cleverly jabs at indifference and intolerance on Nashville hits like “Merry Go Round” and “Follow Your Arrow,” Musgraves doesn’t just sound fearless — she sounds like the future.